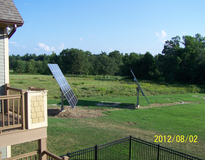 Utilizing open space for solar tracing vs. fixed roof install resulting in much higher efficiency in the 30-40% range. 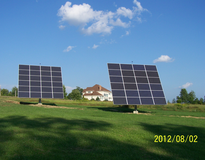 Installed two 6kW tracer systems with the ground work done for 2 more. Better ROI than fixed installs.